Speed printing by storing as much data as possible in printer memory (instead of transferring it through the network). 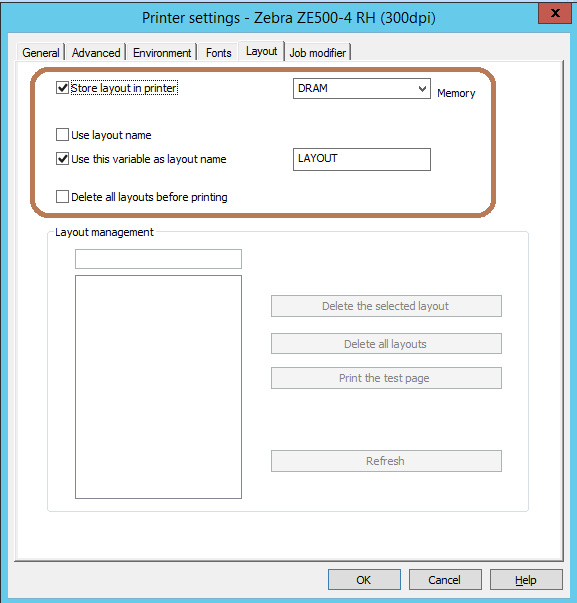 Use of CODESOFT Printer drivers (not Windows drivers) for Zebra printer. Model ZE500-4 RH 300dpi is used in this example. 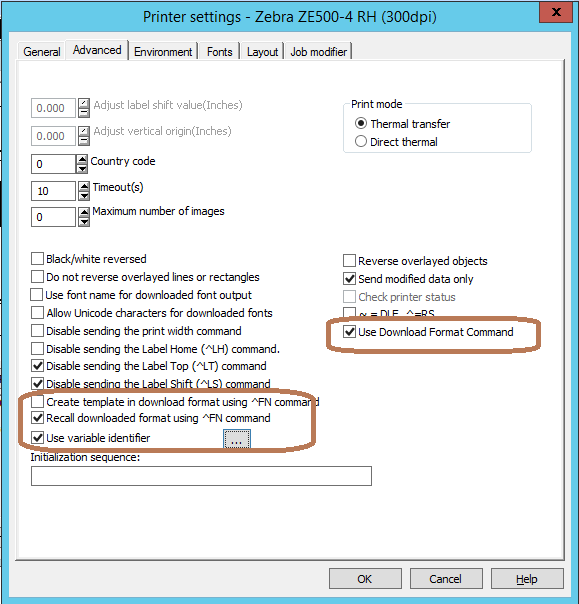 Select Print from File menu.